Trailing P/E is a useful tool for understanding what has already happened in the market. 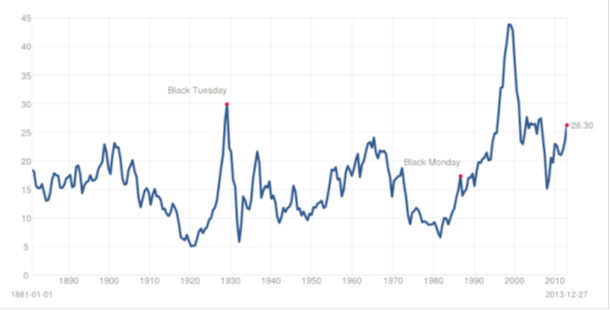 The Shiller P/E is far more useful for calculating expected returns going forward. On forward and estimated earnings the picture is a bit better, but it isn’t cheap (historical comparison). Analysts are currently expecting double digit growth for 2014 earnings. 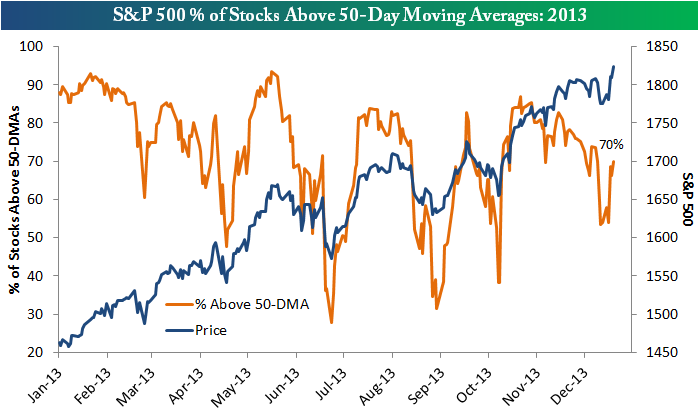 Investors have been paying an increasing premium for stocks as underlying economic data has been volatile, and weakened. 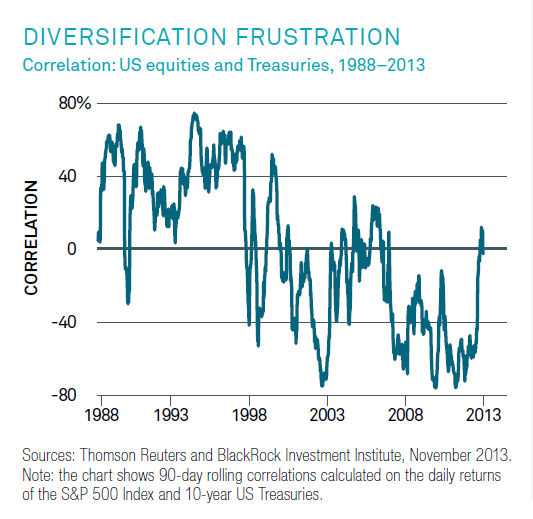 Equities and treasuries are becoming more correlated. 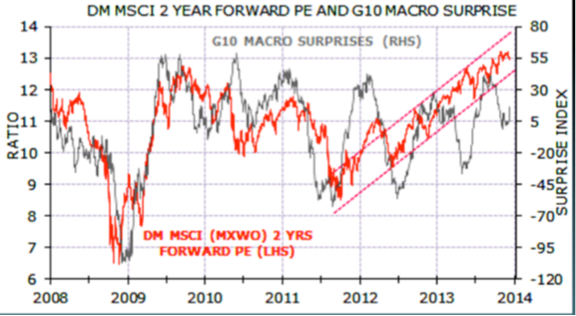 Making “safe” portfolios more risky. 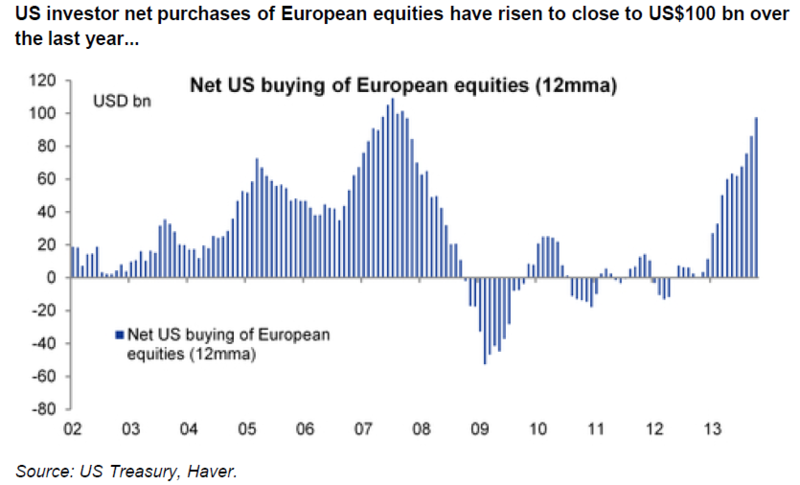 Strong buying of European Equities from US Investors. 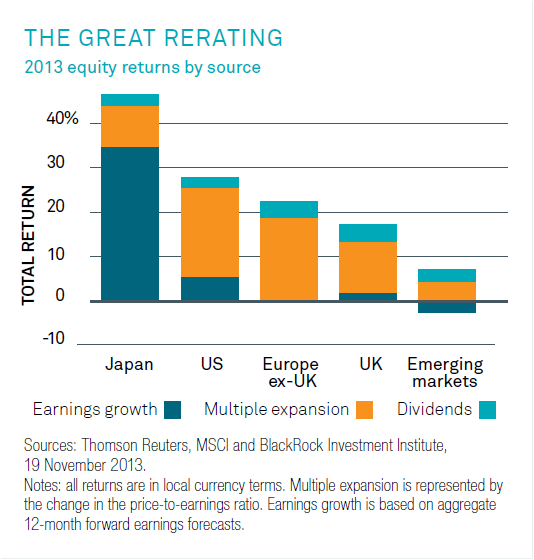 Not that much earnings growth, a lot of multiple expansion. Analysts are currently expecting double digit growth for 2014 earnings.